Since 1970, H.H.Shri Mataji Nirmala Devi., travelled world-wide giving self-realization to all regardless of race, religion and offering free public lectures. Shri Mataji is the first and only one in the history of spirituality to offer the experience of self-realization en masse through Sahaja Yoga. Her teaching has benefited hundreds of thousands worldwide to experience the inner balance and health improvement, thus giving complete spiritual ascent. Self-Realization awakens within us the primordial kundalini energy an innate spiritual potential. It is a spontaneous process and Shri.Mataji emphasized that this awakening, cannot be purchased. All the workshops of Sahaja Yoga are done absolutely free by the local volunteers all over the world. 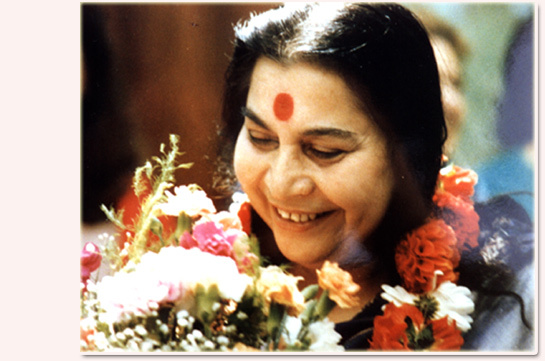 In addition to Sahaja Yoga, which is now established in more than 100 countries, Shri Mataji founded a non-governmental organization for destitute women and children, several international schools teaching a holistic curriculum, health clinics offering free treatment through Sahaja Yoga, and an arts academy to revitalize the classical skills of dance, music and painting. Shri Mataji dedicated her life to Humanity- quietly transformed lives globally. She believed that it is every human beings birthright to receive their self-realization. Shri. Mataji passed away on Feb 23, 2011. To honor her noble work, we would like to declare her birth day March 21st as “Shri Mataji Nirmala Devi Day”. Please get your self-realization and pass this source of joy within all of us to others.